Because the campus of The Ohio State University at Mansfield lies in a suburban setting outside of its namesake city, the concept of “town-gown” might not immediately come to mind. “Town-gown” is a phrase used for the relationship between a college or university and the city in which it is located, particularly where the distance between campus and retail areas is close and walkable. That closeness can help to forge a symbiotic relationship, not only for students, but for cities and colleges working together on issues such as traffic, development, and more. Recently, OSUM took a look at the relationship between the Mansfield/Ontario area and the school, and what students find to be interesting places to visit. A lot of what draws students to The Ohio State University at Mansfield is its intimate educational environment and the individualized attention of its staff of accomplished professors. The regional campus’ woodland setting also claims its share of mentions when students offer their reasons for enrolling there. Perhaps less familiar to newcomers to Ohio State Mansfield is the variety of venues providing recreation and leisure located within minutes of the school. Here are some of the Mansfield-area spots where students can take a break from their studies or sometimes enhance them. It’s easy to relax at Relax! over a scone and coffee. 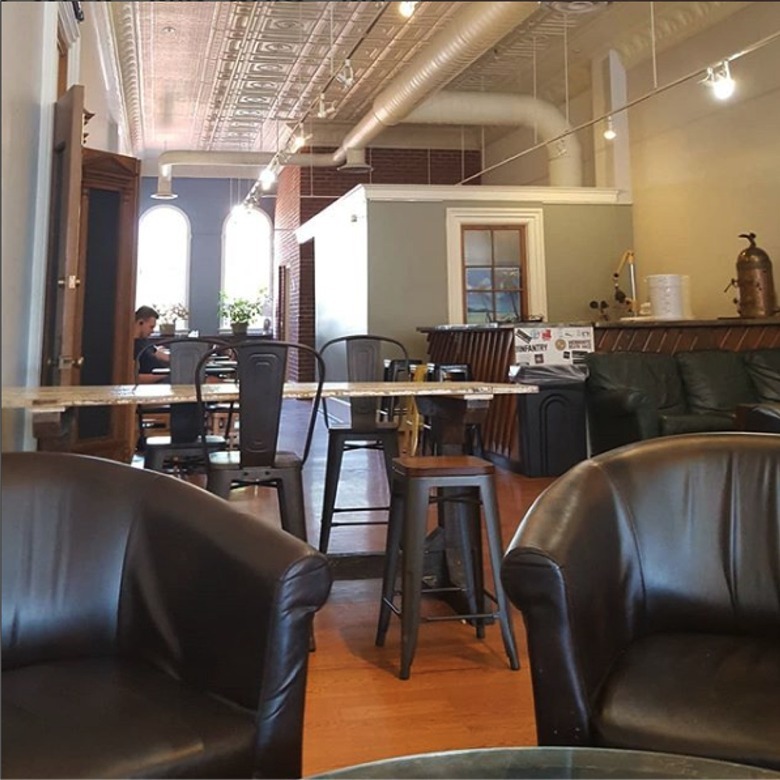 This neighborhood coffee shop located at 105 N. Main St. in downtown Mansfield touts an “all access atmosphere,” where students, coffee geeks, artists, business leaders and neighbors can get together to work, relax, create and hang out. Relax states its mission is “to use the coffee shop experience” to cultivate a community united by its love of coffee, tea, local art and live entertainment.” Visitors can enjoy house-made baked goods, coffee, art, local bands and good company. Downtown Mansfield has a number of free music opportunities. 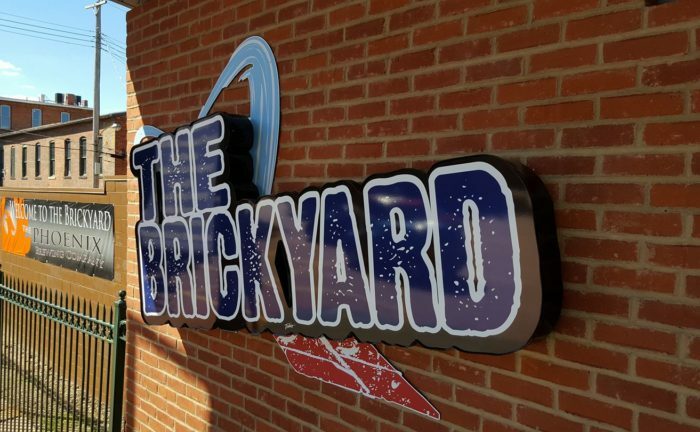 Relax, It’s Just Coffee features live bands, and The Brickyard, 128 N. Main St., offers Final Friday concerts held the last Friday of each month. During the summer, the Richland Source’s Newsroom After Dark offers free monthly concerts. The 1,110-acre Mohican State Park, 3116 Ohio 3, Loudonville, and adjacent 4,525-acre state forest provide plenty of opportunities for students and anyone else to explore the wilderness including a hemlock forest, Clear Fork Gorge and the Clear Fork River. The park offers hiking, mountain biking, canoeing and more. Located at 138 Park Ave. W., the historic Renaissance Theatre presents and produces live theatrical performances and symphonic music, as well as art education programs, in the facility, which originally opened in 1928 as a movie palace. Altitude Trampoline Park, 2190 W. Fourth St., Ontario, features over 17,000 square feet of indoor high-performance trampolines, general area trampolines, two basketball hoops, two dodgeball courts, two battle beams, a children’s court, several foam pits, a rock-climbing wall and a game room with prize redemption. Ohio State Mansfield will buy tickets for students to go to the park as a group, Fry said. Located at 569 S. Trimble Road, Raemelton Therapeutic Equestrian Center provides equine-assisted activities to individuals with mental, physical, emotional, social and sensory disabilities. Riders with impaired mobility receive instruction in balance, coordination and self-assurance, as well as muscle stimulation, the center website states. Riders with learning or mental disabilities receive motivation to increase concentration, patience and discipline. Stamper said the equestrian center also provides individuals, including Ohio State Mansfield students, with the opportunity to help others. Featured in the 1994 film “The Shawshank Redemption,” the Ohio State Reformatory, 100 Reformatory Road, provides the opportunity to tour the facility, including the Hollywood Tour, which features rooms and props that were in the movie. Paranormal programs and ghost hunts also are available. In the winter season, Snow Trails, located at 3100 Possum Run Road, Mansfield, offers skiing and skiing lessons, snowboarding and snow tubing. Ohio State Mansfield will purchase tickets for students to go glow tubing as a group, Fry said. For students interested in flora and some fauna, Kingwood Center Gardens, 50 N. Trimble Road, develops and displays gardens on the former estate of Charles Kelley King for the pleasure and education of visitors. In addition, students can be entertained by the variety of water fowl and peacocks that frequent the venue. The facility offers numerous programs throughout the year to support and enhance the enjoyment and understanding of the gardens.